This is our unique Open Enigma velours bag. 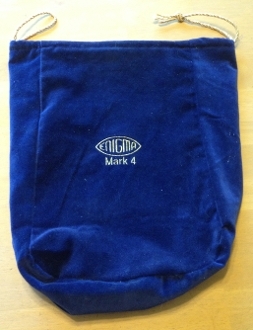 It comes complete with "Open Enigma Mark 4" enbroidered in golden thread. For a customized version, please pick "Enigma Velours Customized bag.